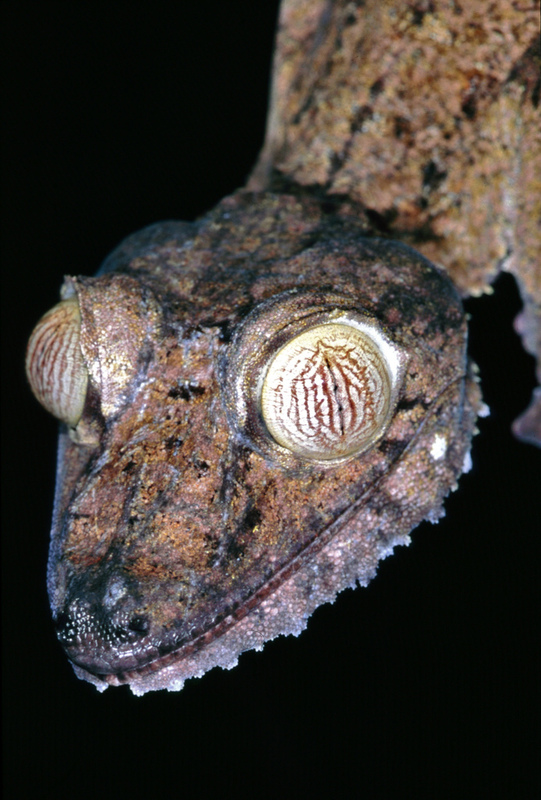 The leaf-tailed gecko (Uroplatus fimbriatus) is a large tree-dwelling reptile found in Eastern Madagascar. 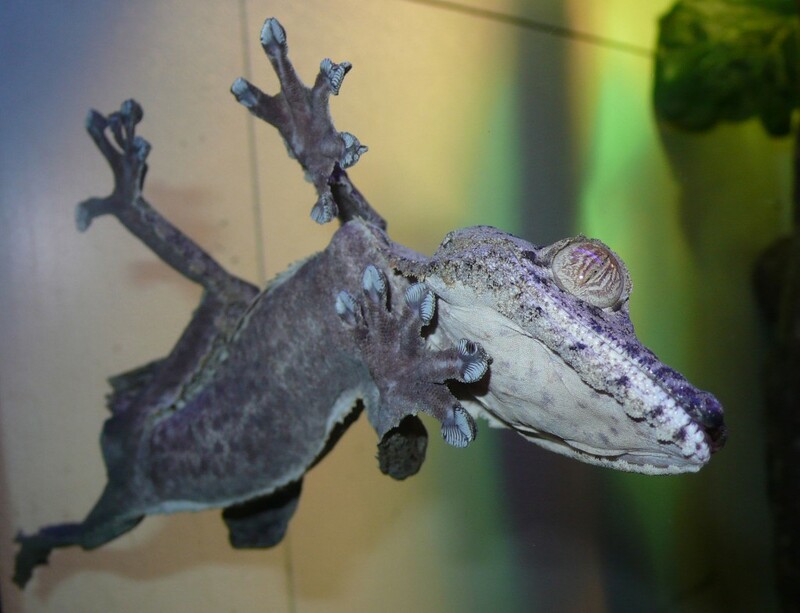 It gets the name uroplatus – which means “flat tail” – from its broad leaf-shaped tail that can be snapped off and regrown if attacked by a predator. Walking through the forests of Madagascar fimbriatus may be difficult to spot. Not only can it change color to match its background, but it has flap of skin running the length of its body that helps breaks up its outline and prevents it from casting a shadow. 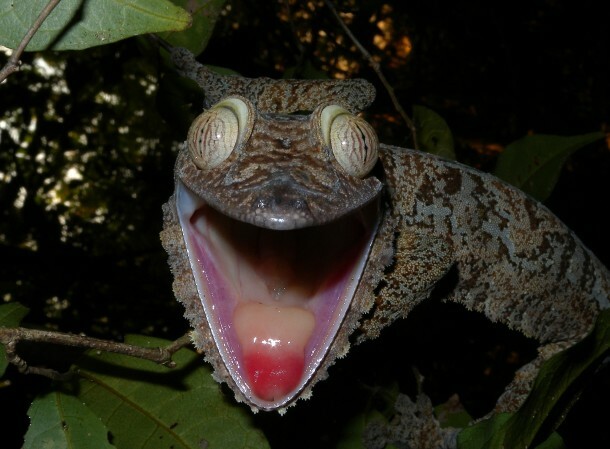 Fimbriatus is one of 14 extant species of leaf-tailed geckos. They can vary widely in appearance, depending on the micro-environment they inhabit. 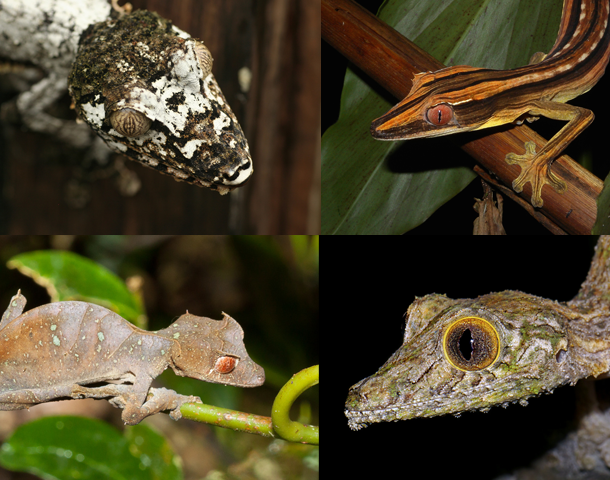 Pictured below (clockwise from the upper left) are the southern (sameiti), lined (lineatus), mossy (sikorae) and satanic (phantasticus) leaf-tailed geckos. 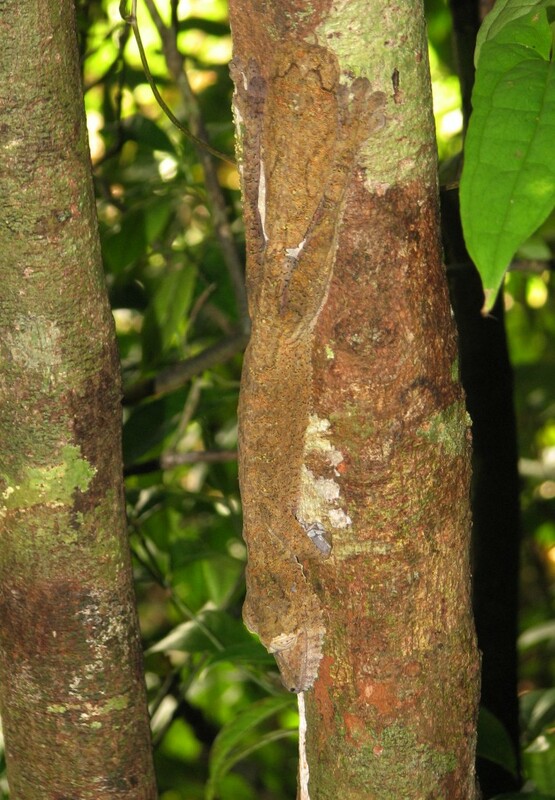 Many gecko species can vocalize and the leaf-tail is no exception. It barks, hums, and when startled will raise its head and scream at the offending party. 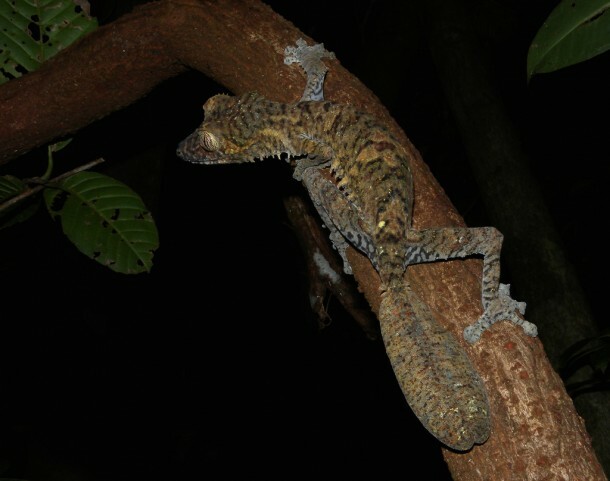 While fimbriatus is not considered endangered, other species of leaf-tailed geckos have seen a decline in the wild. This is mostly due to habitat destruction from logging, but also because of the pet trade around this unique group of reptiles.